This was delicious. My first time really cooking “gluten free”. I really love the coconut flour and can’t wait to make some more foods using alternative flours! 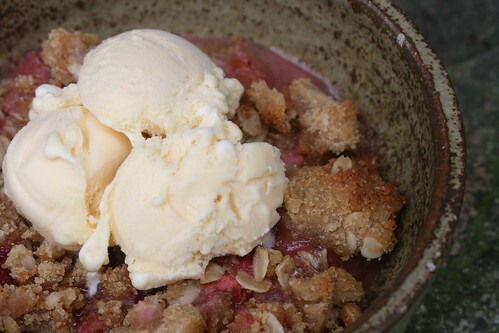 Mix rhubarb and strawberries with white sugar in a pan (I used a glass pie pan). 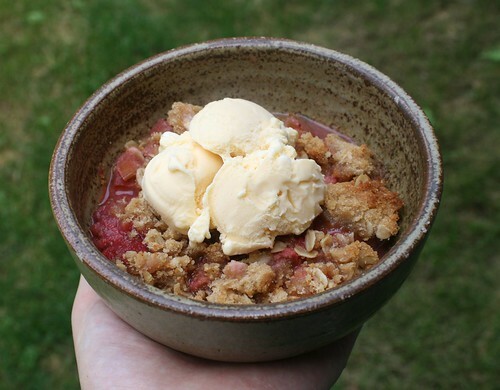 Mix remaining ingredients in a bowl and then cover rhubarb and strawberries with it. Bake for ~30 minutes at 350 degrees.